It is with great pride and elation that I share this wonderful news to you about the The Philippine Quill Awards 2012. I was in attendance to this black tie event last night together with the rest of the company's winning teams. Out of the five entries our team submitted, four were picked to receive an award. My entry for Communication Management under the Marketing Category was about the 2 consecutive campaigns I launched to help increase the registrations and utilization of our web channel for Customer Care transactions. It talked about how the campaigns were communicated to target markets using multi-channels with a very limited budget. 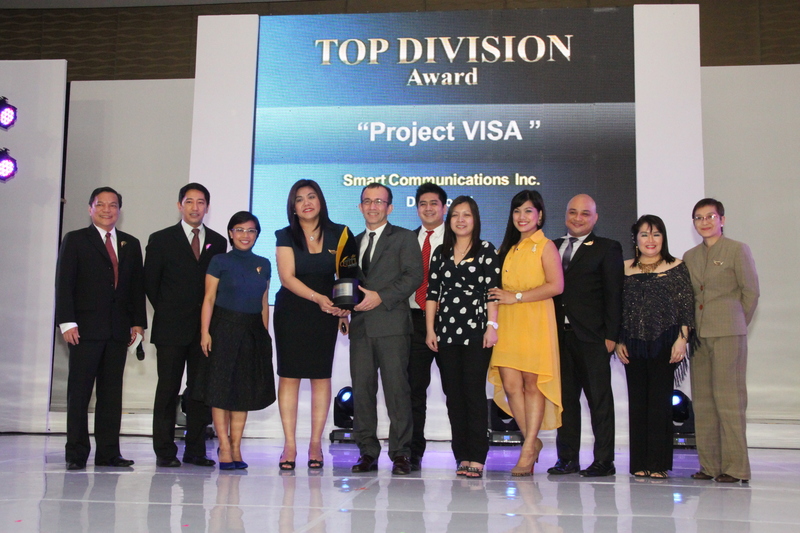 SMART won the Company of the Year Award which made the night truly memorable and triumphant. "The Gold Quill, deemed the highest honor in business communication, is awarded by the global IABC, a network of 15,500 communication professionals all over the world." - International Association of Business Communications (IABC) Philippines. To all the winners of this year's Philippine Quill Awards, CONGRATULATIONS! Hope to see you all again next year. For more details on The Philippine Quill Awards 2012, visit IABC Philippines' website or follow them on Twitter. Congratulations again Louise ! You deserve it.